Here you can request to buy a copy of an existing report. Just fill in the form below, and we will get back to you with more details and costing for you to consider. Alternatively, you can call us with your request. 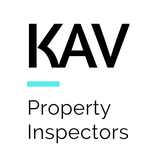 © KAV Building Services Pty Limited. All inspections are of the non intrusive type in accordance to the Australian Standards. (AS). AS4349.3 for Timber Pest inspections & AS4349.1 for Building inspections with noted variations, terms & conditions.